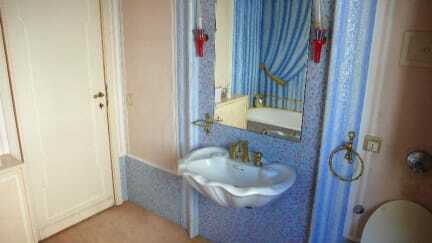 Train station B&B is located in a nice building just few steps from Venezia Mestre train station (trains and buses). This is a perfect location as you are away form the tourist crowd but the travel times to reach Venice is 10 minutes with a frequency of a train every 5 minutes and a bus every 10 minute and night buses guaranteed. The area is nice, quiet and many Venetian live here. Bars, shops and restaurants are nearby. Our structure, as well as offering elegant rooms in Venetian style with original decorations, includes relaxation areas with two comfortable large terraces, the use of the kitchen, the possibility to park inside of the building, preferably on request, and free internet access present throughout the house. Cancellation policy: 96 h before arrival. In case of a late cancellation or No Show, you will be total reservation charged of your stay.